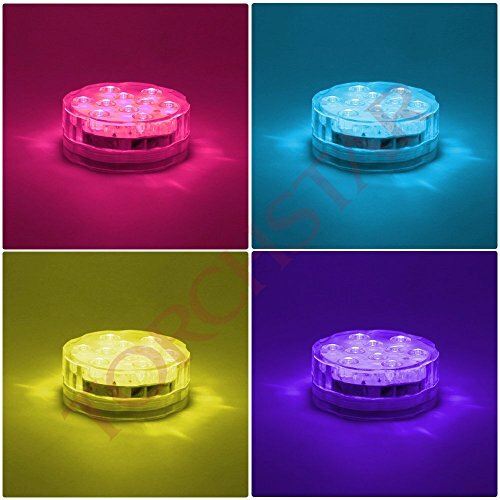 The RGB submersible lights are powered by three AAA batteries. 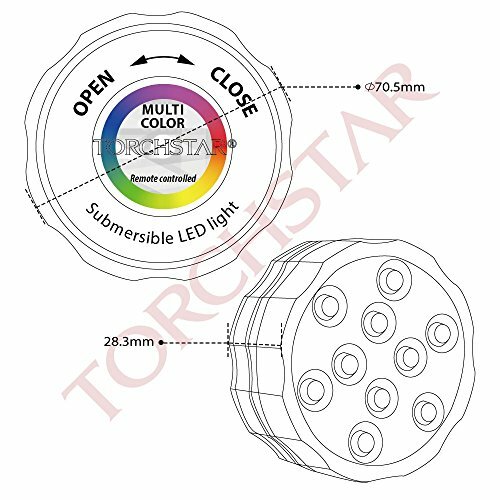 The creative LED lights are made of high quality waterproof materials and could be used underwater. Working with an IR remote controller (signal range : 30ft), powered by one CR2025 button cell batteries. 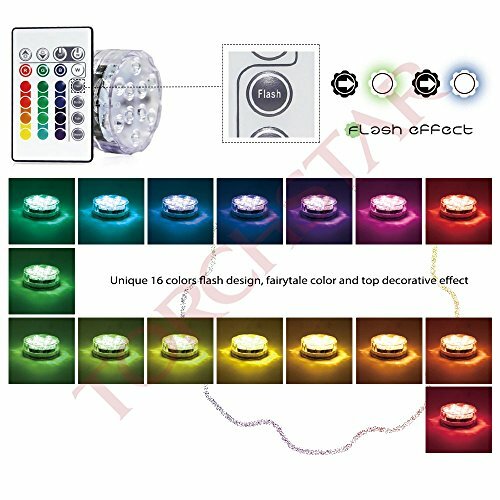 –	16 different static colors : press the color button on the remote to select color. 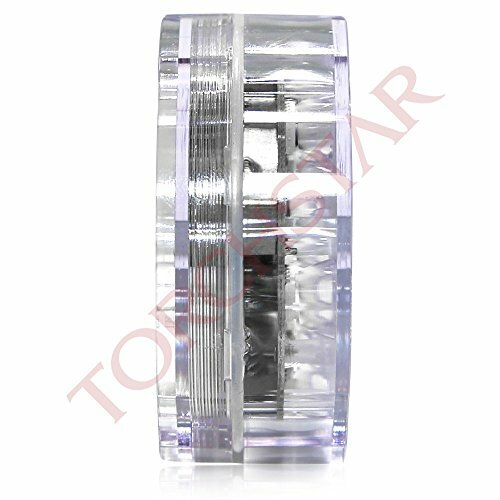 –	Brightness : press Up or Down button to increase or reduce the brightness of static lighting. to view colors changing in default order. 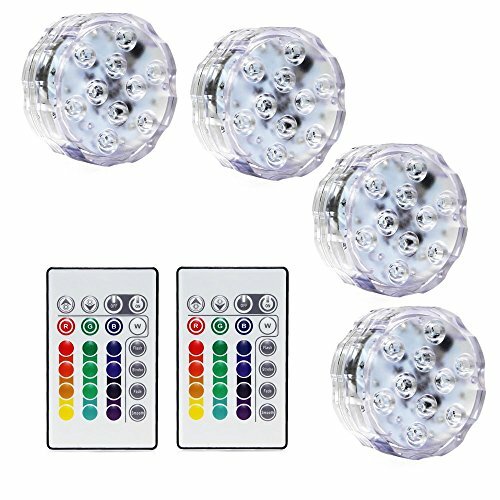 This item also sold as 1 LED light and 1 remote, please search the keyword “B00FS7N0J8 ” to find our kits of four.